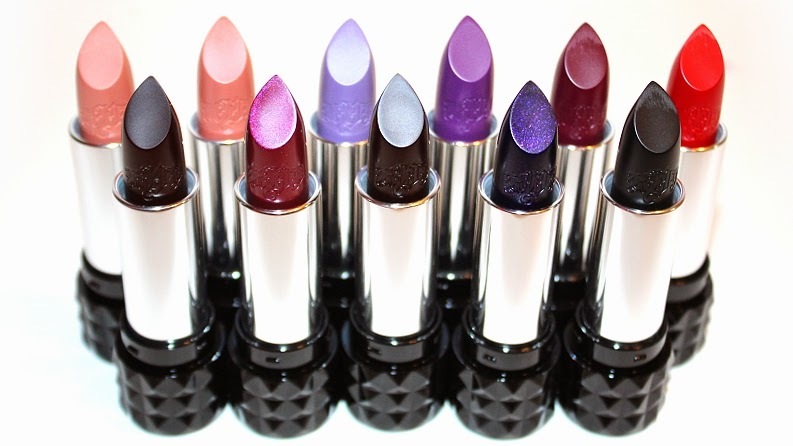 KAT VON D Studded Kiss Lipsticks | + Lip Swatches! 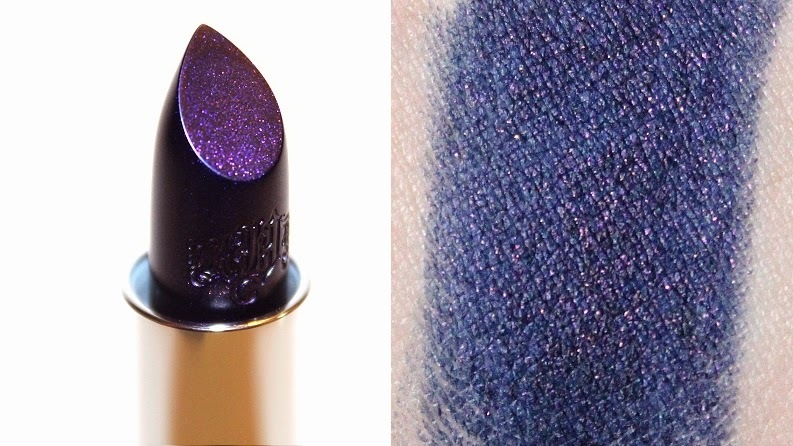 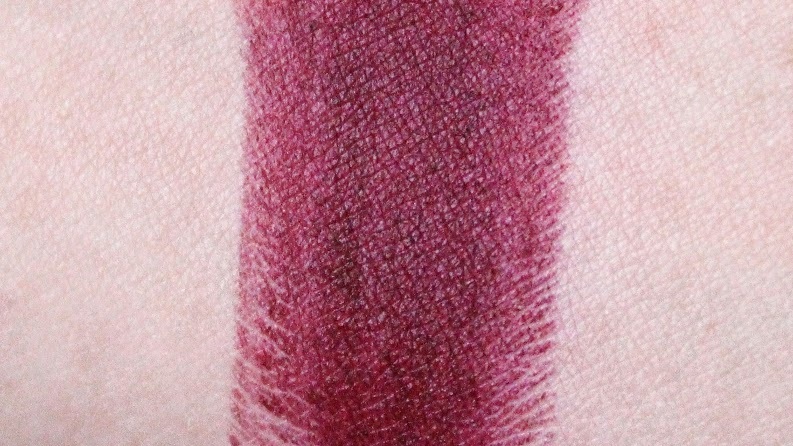 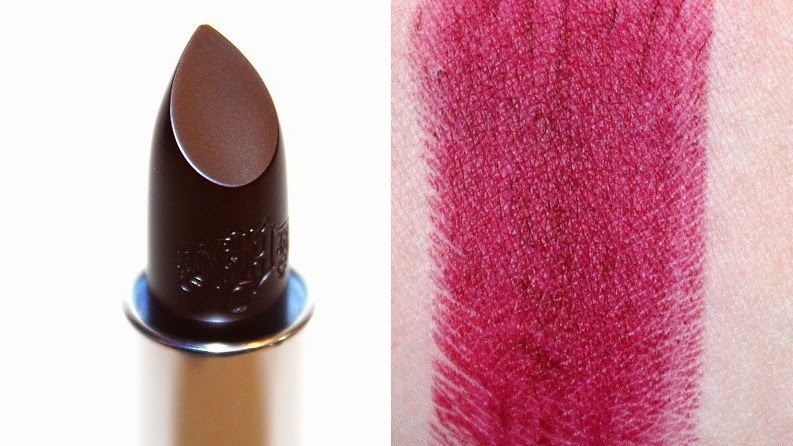 | Modernaires: KAT VON D Studded Kiss Lipsticks | + Lip Swatches! 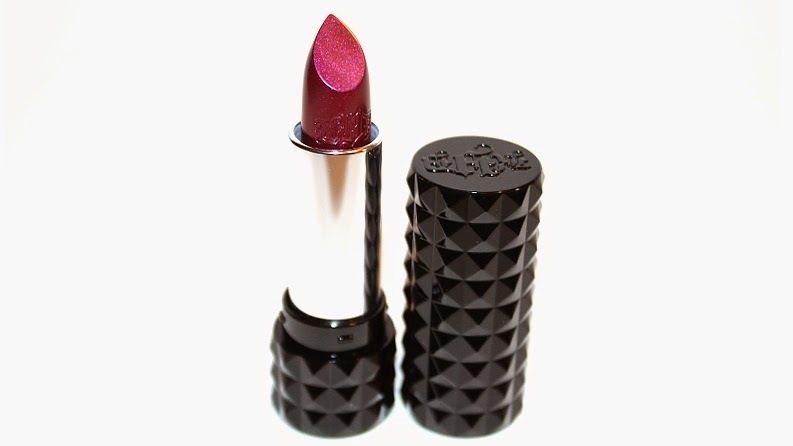 KAT VON D Studded Kiss Lipsticks | + Lip Swatches! 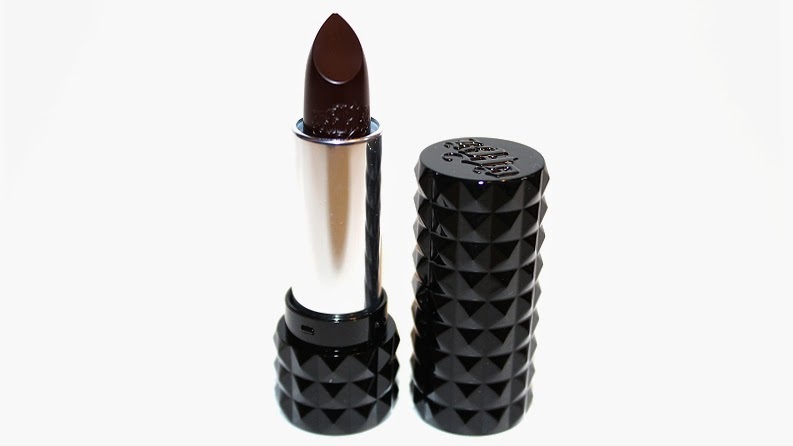 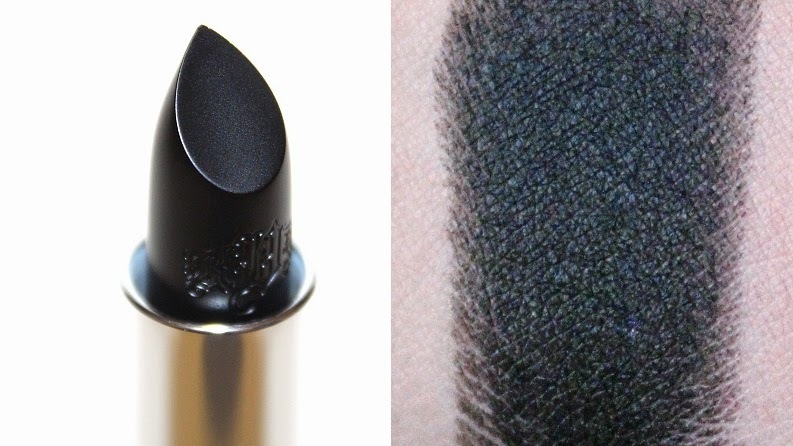 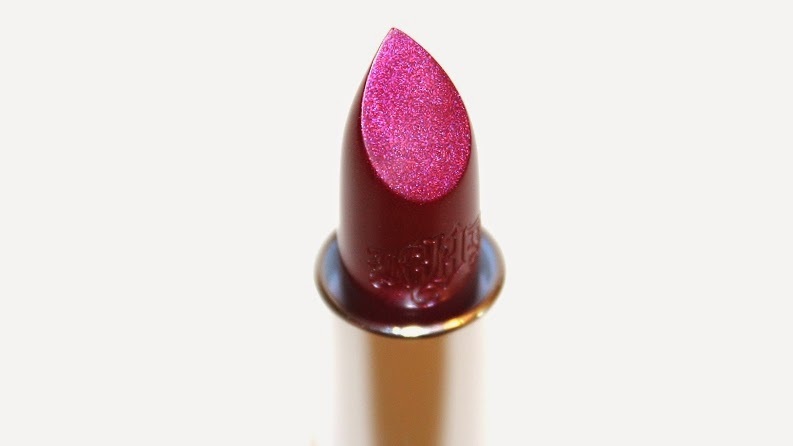 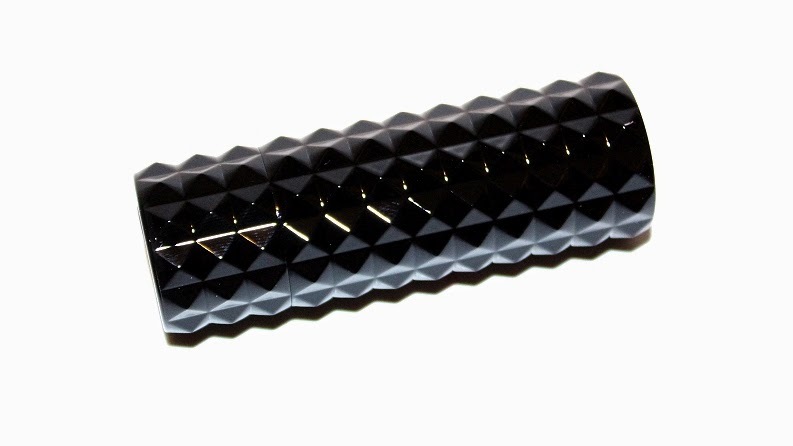 Kat Von D Studded Kiss Lipstick (0.1 oz) retails for $21 USD ($26 CAD) and is available in 30 shades. 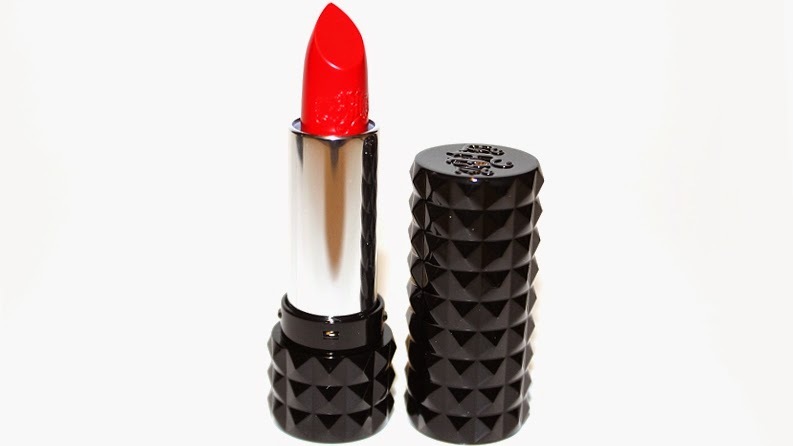 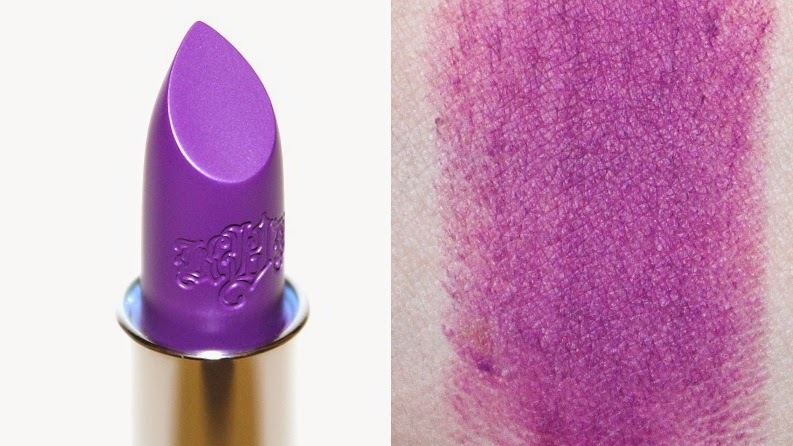 They are said to be "an innovative lipstick that coats lips with bold color,10-hour wear, and luxe comfort." 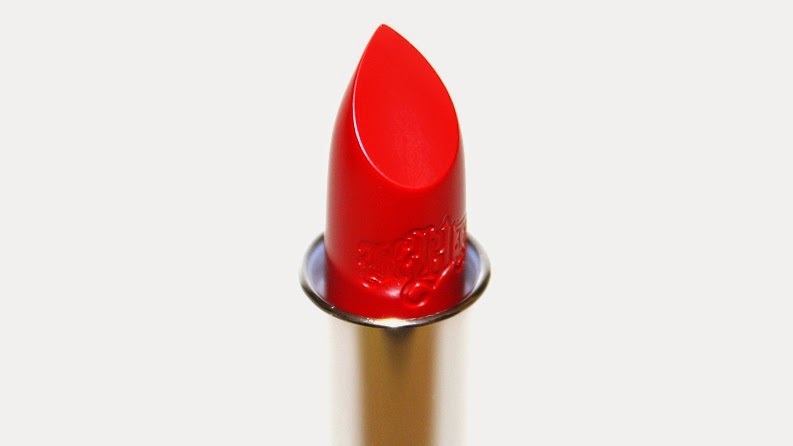 "Drench your lips with bold color and unstoppable femininity. Designed to look as rock ‘n roll as its wearer, this revolutionary, hybrid lipstick is formulated with Color Cushion Technology that combines 10-hour wear, one-swipe payoff, and velvet touch comfort. 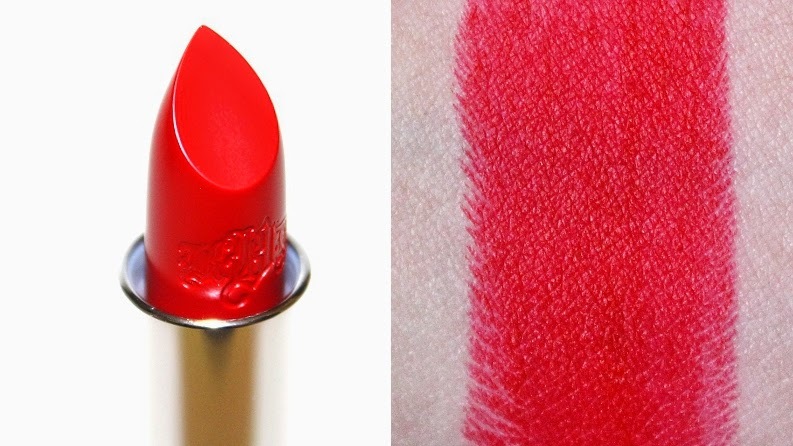 This color-true lipstick leaves lips supple, and its wide color spectrum offers stunning shades, including red for every skintone, statement-making colors, and classic, everyday neutrals." 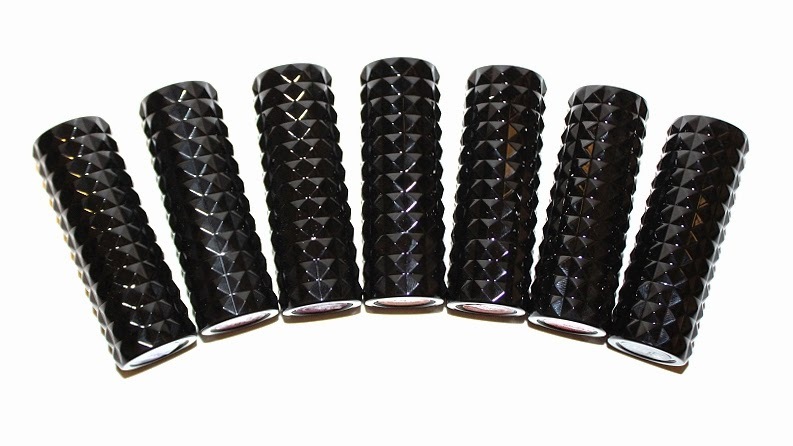 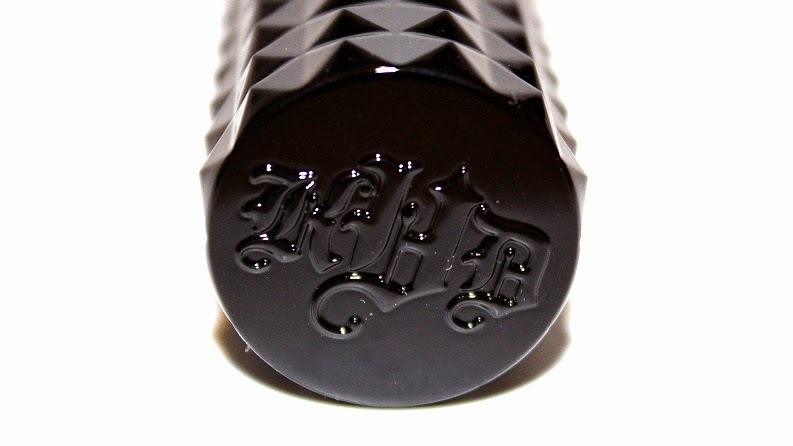 The packaging is a round, glossy black, plastic tube with a square stud design – very unique and eye catching! 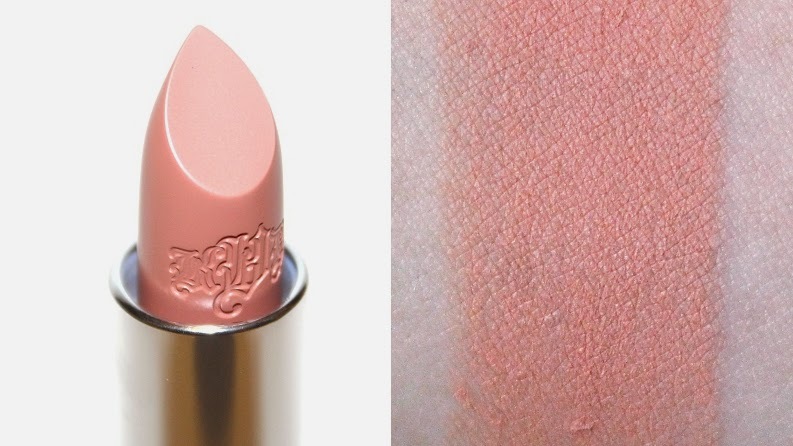 The scent is described as creme brulee, but I personally find it more on the vanilla side, like MAC lipsticks. 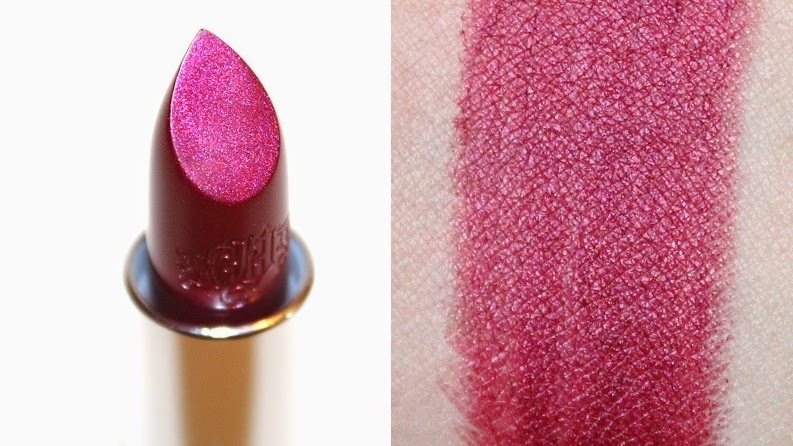 They are long-lasting; the shades I've tested so far withstood both drinking and eating an entire meal without showing any signs of fading, flaking, feathering or wear - pretty impressive for just a lipstick. 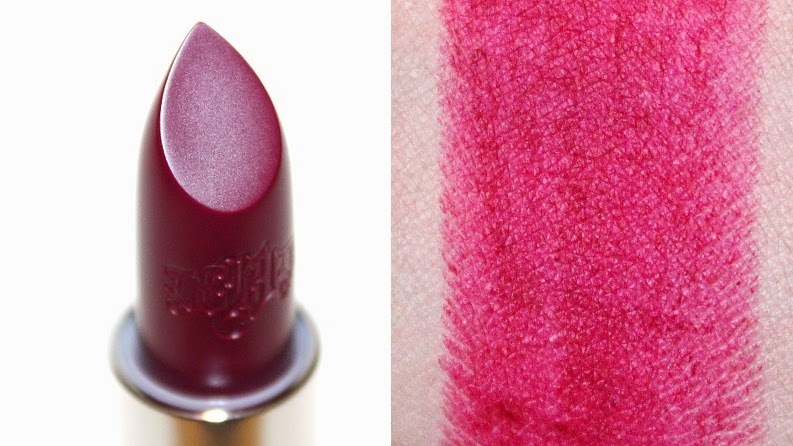 * The matte formula is on the drier side and because of that, I found these lipsticks did pull at the lips when applying. 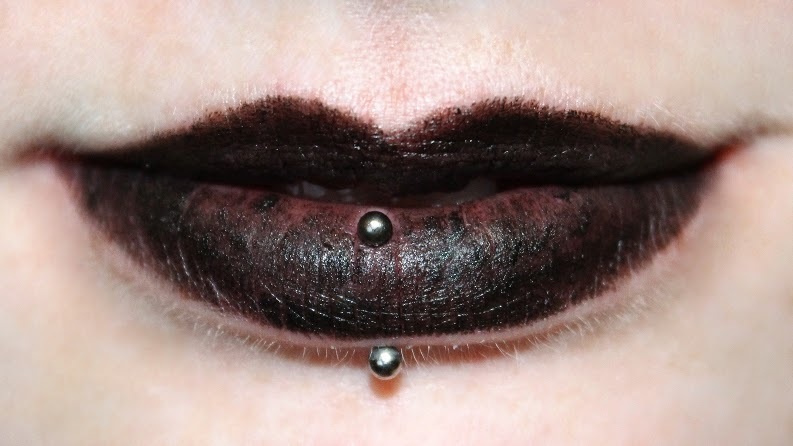 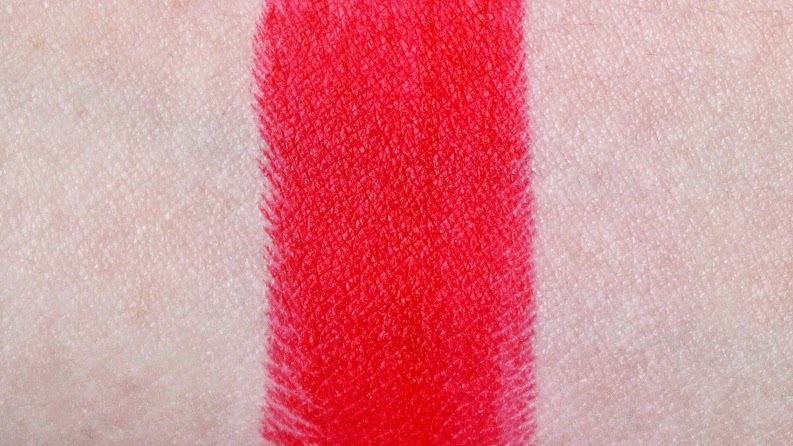 I would recommend a lip brush for precise application; nobody wants jagged tug marks! 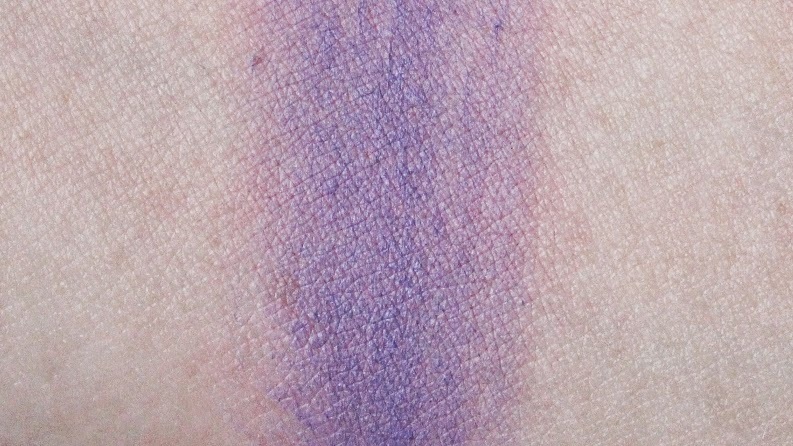 This formula was slightly uneven and semi-opaque with one swipe, but it can be built to a smooth, pigmented, opaque coverage. 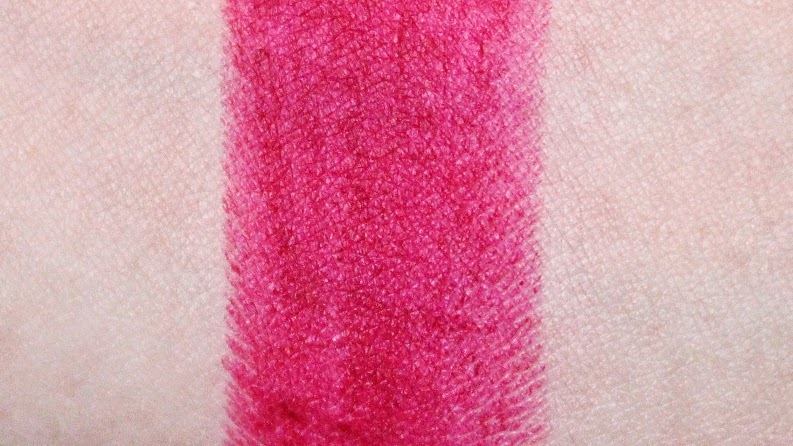 With most mattes, these lipsticks do tend to emphasize any imperfections or dry patches of the lips. 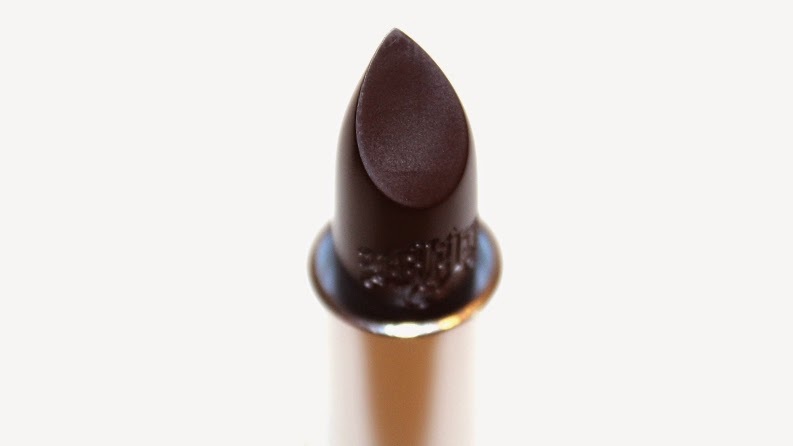 Depending on the shade, they do leave behind a slight stain. 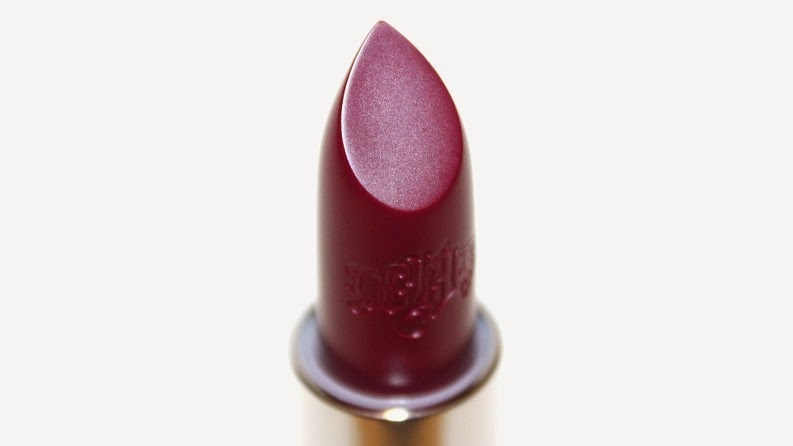 Slayer, Underage Red, Agatha and L.U.V. 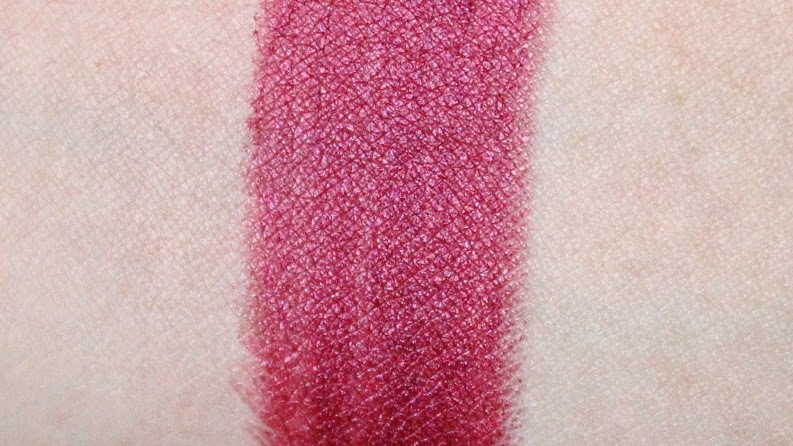 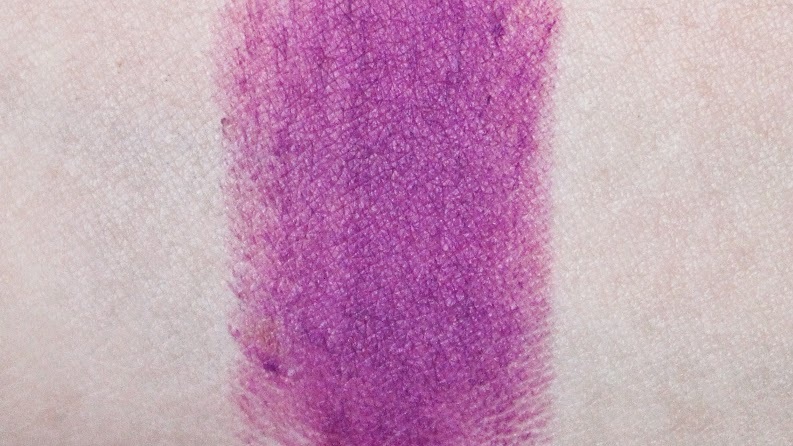 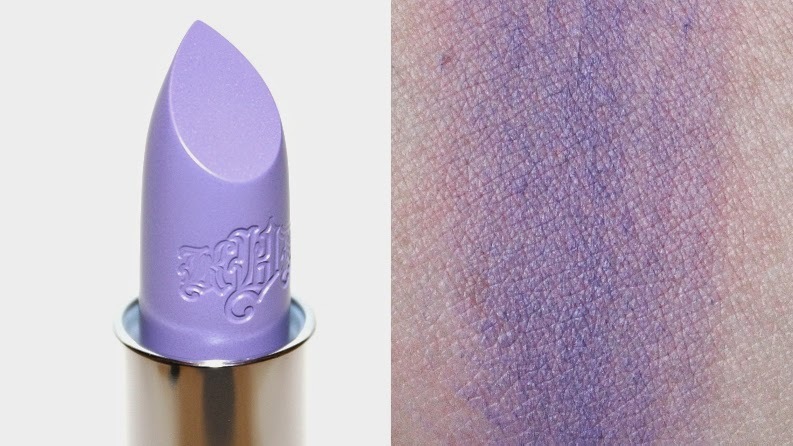 are the better performing of the mattes while shades like Coven, Mötorhead and Homegirl are more troublesome. 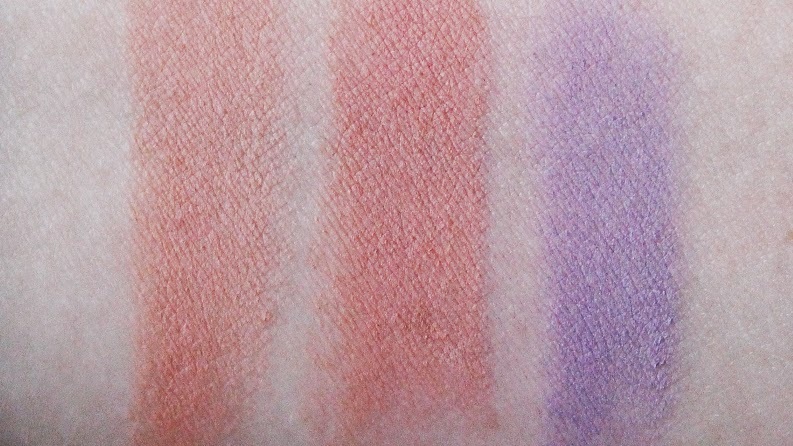 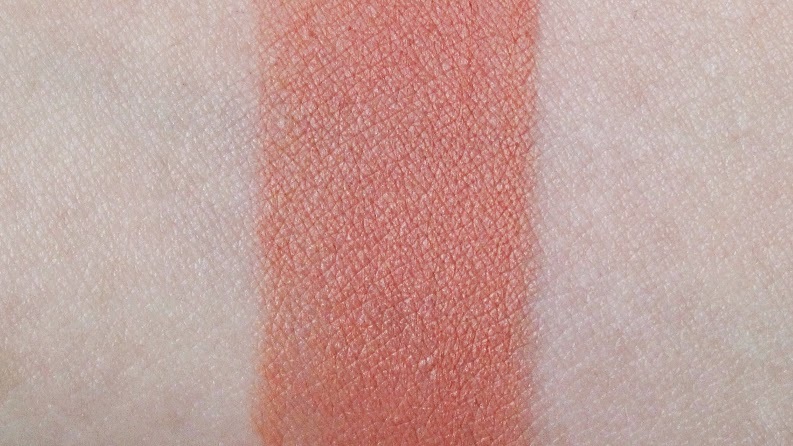 * The shimmer formula is on the creamier side, applied evenly and easily. 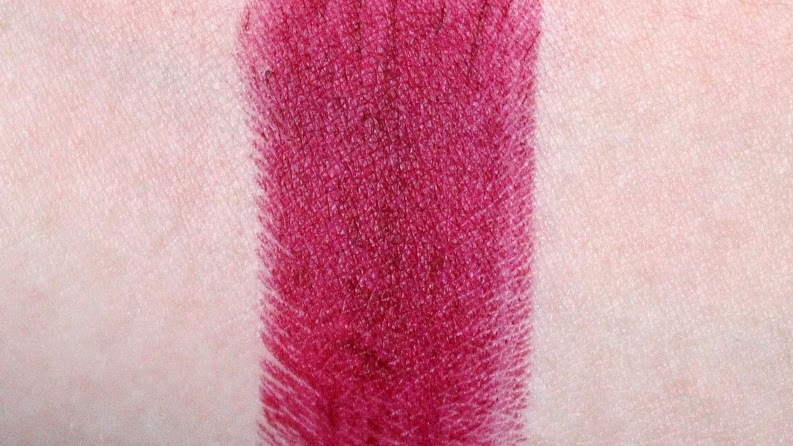 Although this formula doesn't tug or pull at the skin when applying, I would still recommend using a lip brush for application as the small flecks of shimmer tend to leave a rough edge. 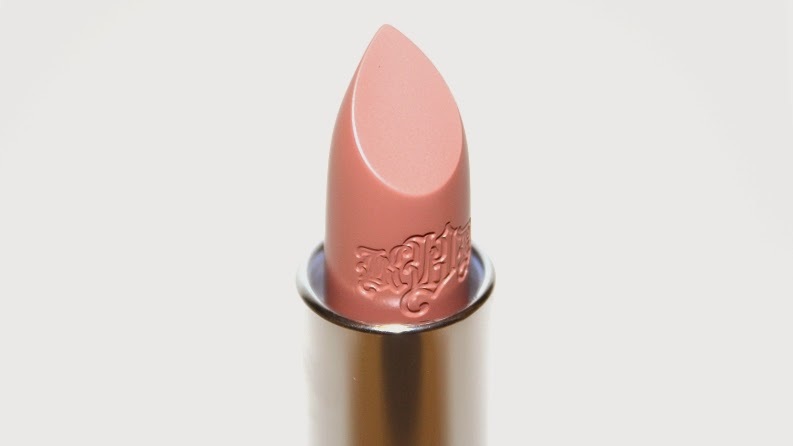 * The metallic formula is creamy, smooth and applied evenly. 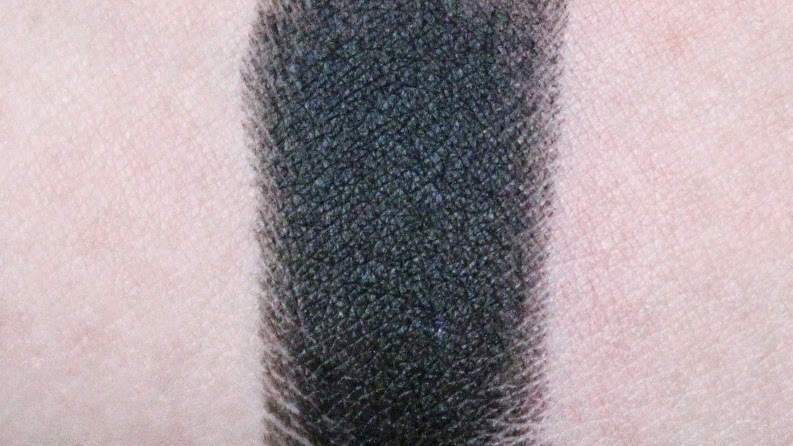 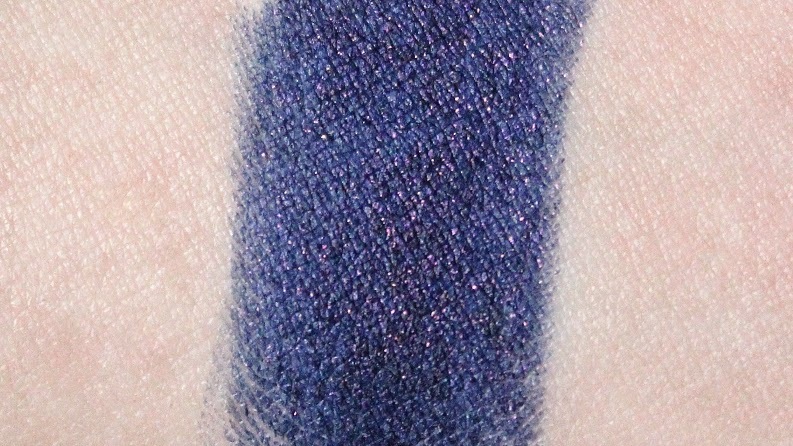 This was the easiest formula to work with since it was so smooth and pigmented in a single swipe. 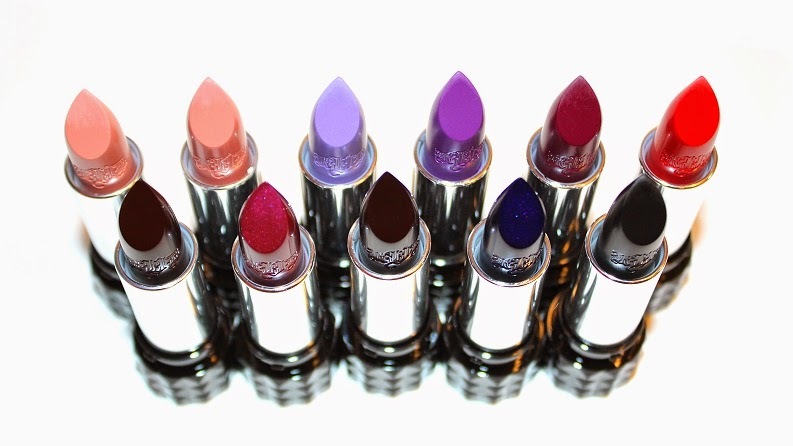 The metallic finish isn't as frosty as the old formula, but the reformulated versions are longer-lasting. 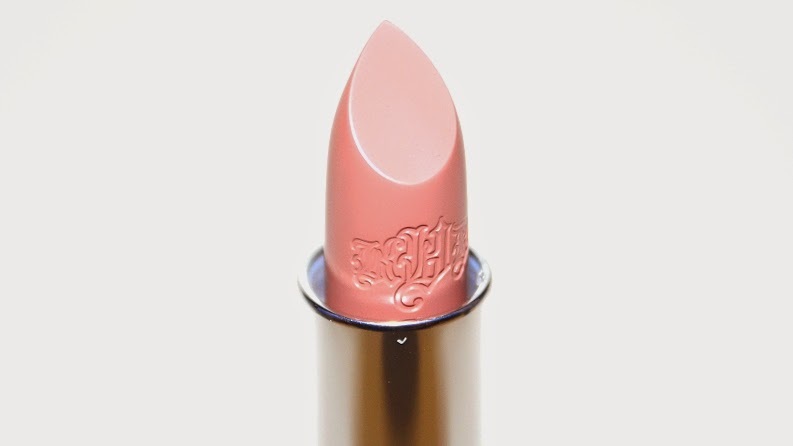 None of the finishes were really drying or hydrating. 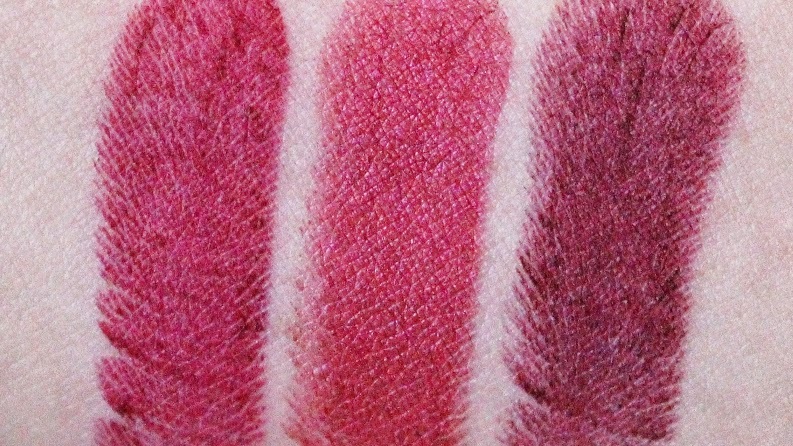 Of course, wearing these lipsticks for extended periods of time, mattes especially, left my lips feeling a little on the drier side, (like bare, naked lips) but that can only be expected after hours and hours of wear. 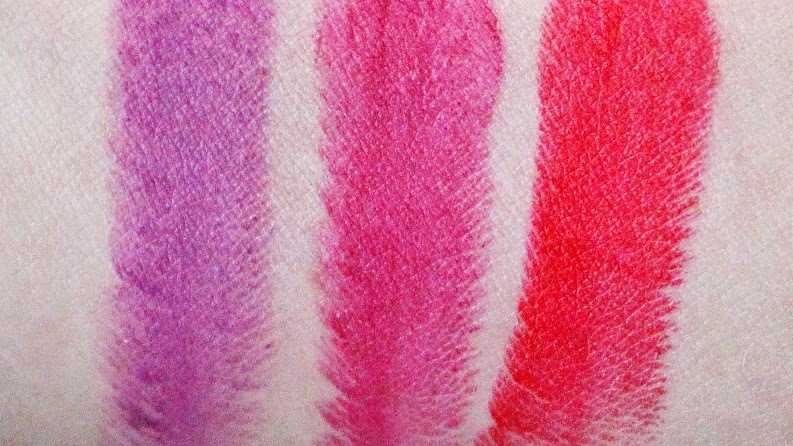 I also found these lipsticks performed better once the first few layers had been worn/rubbed off. 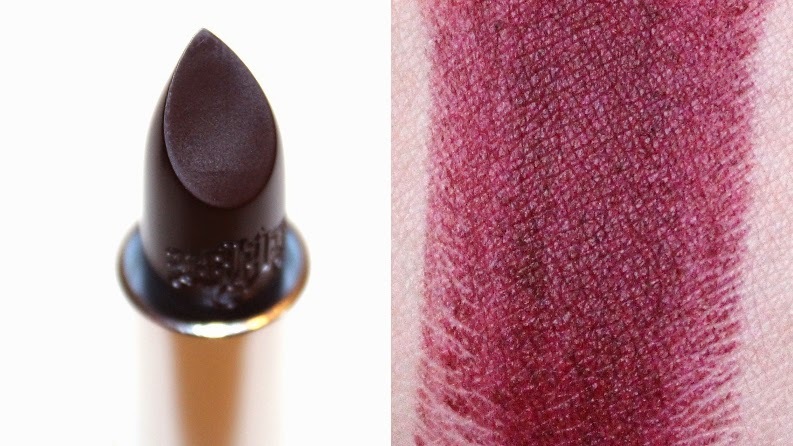 Overall, there are some hits and misses with these lipsticks. 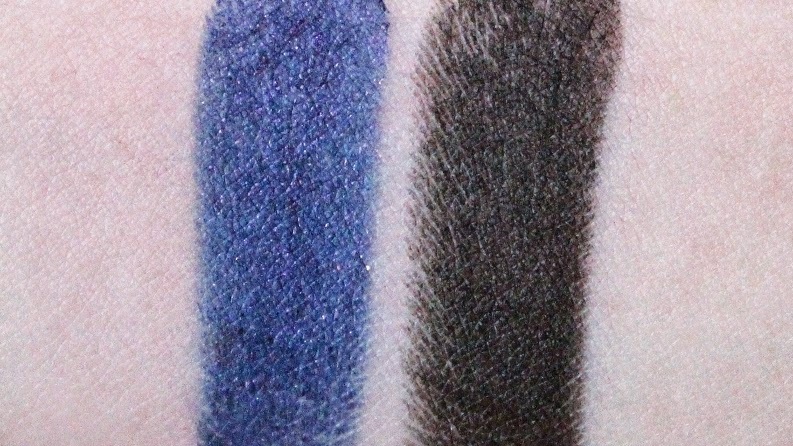 The new formula is an improvement and they are longer-lasting. 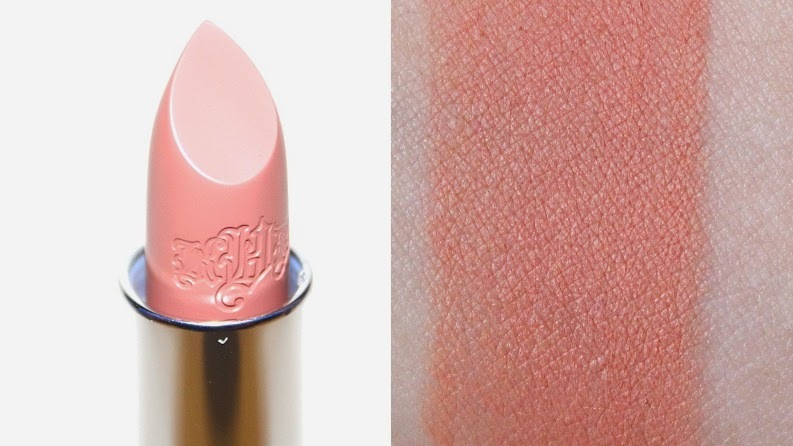 Although I do recommend these lipsticks, I would check them out in-store before purchasing since the shades and finishes do vary, for example, the mattes aren't consistent in quality. 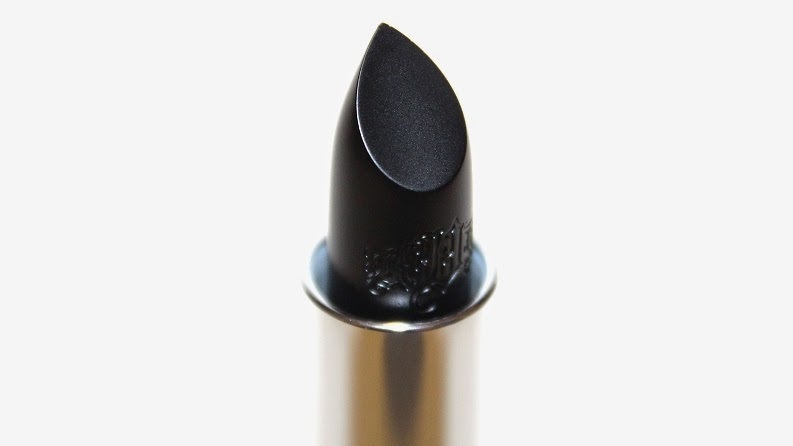 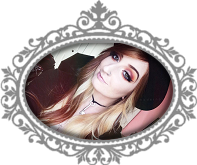 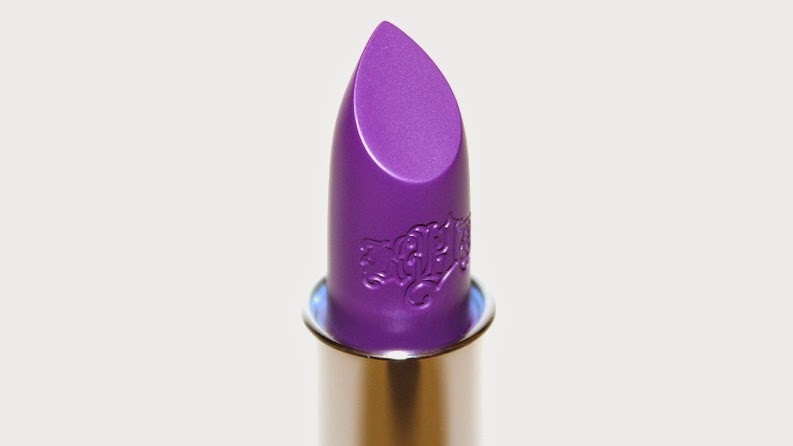 Kat Von D offers more unique, bold shades and the Studded Kiss Lipsticks definitely stand out from other brands. 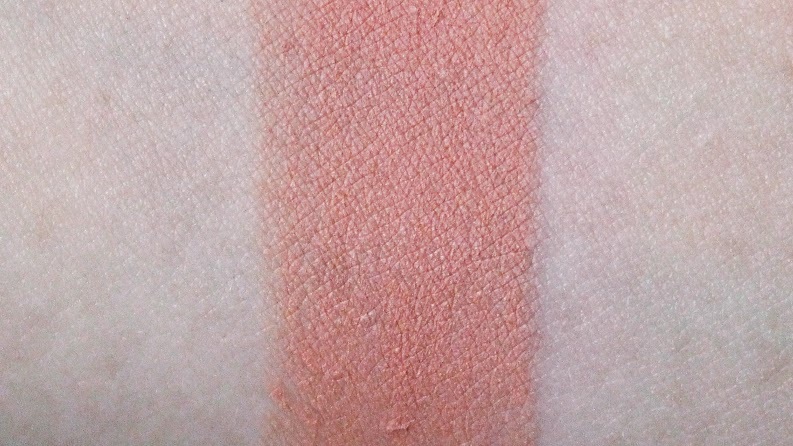 *NOTE: All swatches and lip swatches are done on bare, non-prepped skin! 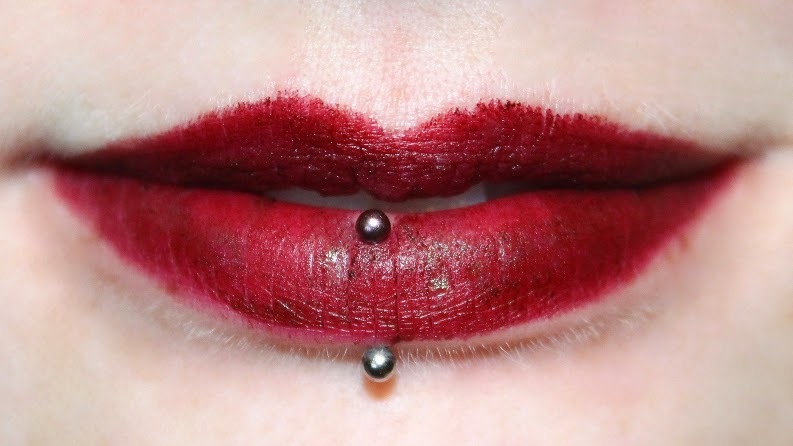 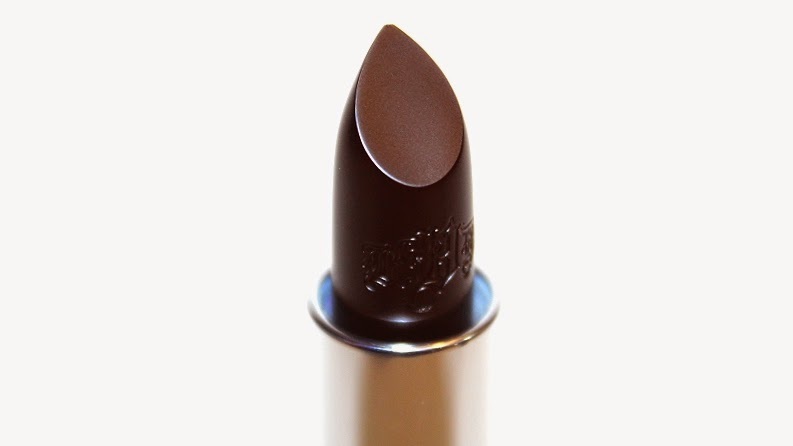 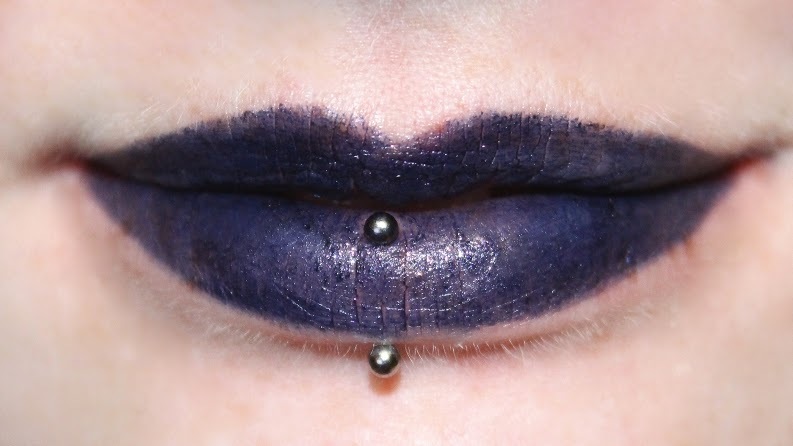 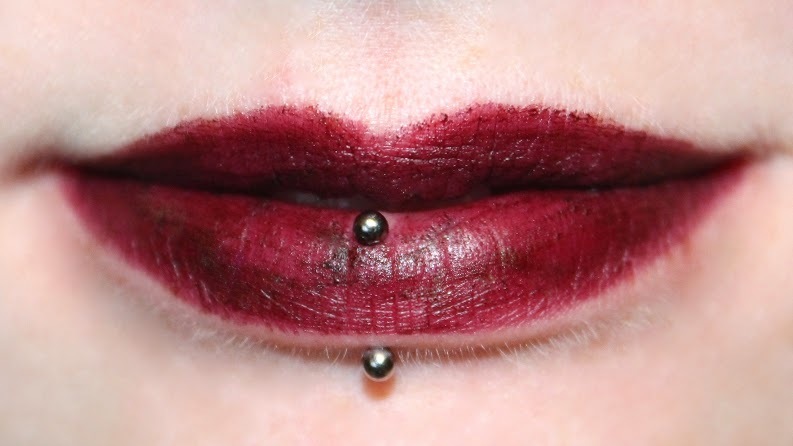 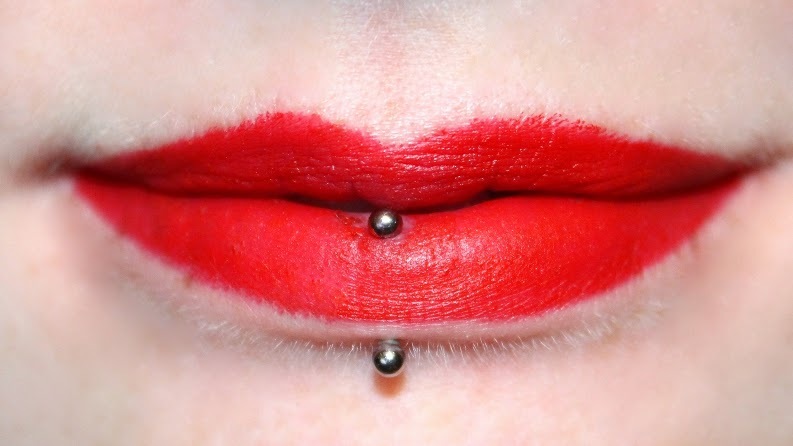 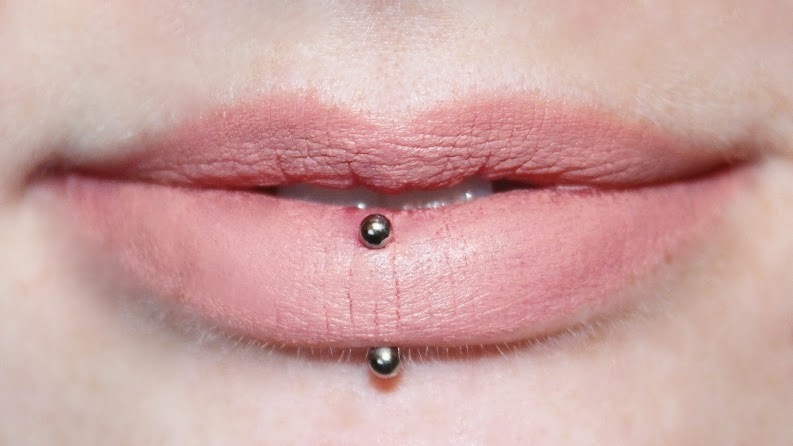 Kat Von D Studded Kiss Lipstick in L.U.V.